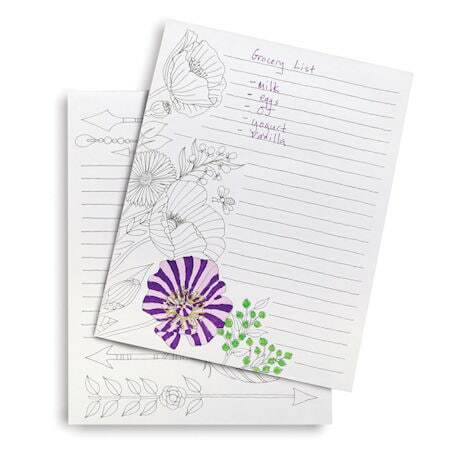 Mundane grocery or to-do lists double as creative, stress-reducing activities with these unique coloring pads. The 150 8"x6" sheets on each pad (for a total of 300) are lined, so you can keep jottings and notes neat and tidy. And around the edges you'll find whimsical line drawings of flowering vines, delicate butterflies, intricately detailed birds, and more, just waiting to be colored in and doodled on whenever you need a pleasant diversion. 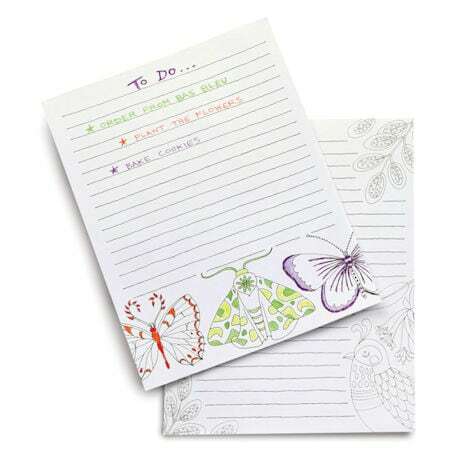 (We hear they are especially useful for taking illuminated notes during prolonged conference calls…) Grab a pair for your own desk, or share one with a fellow daydreamer!